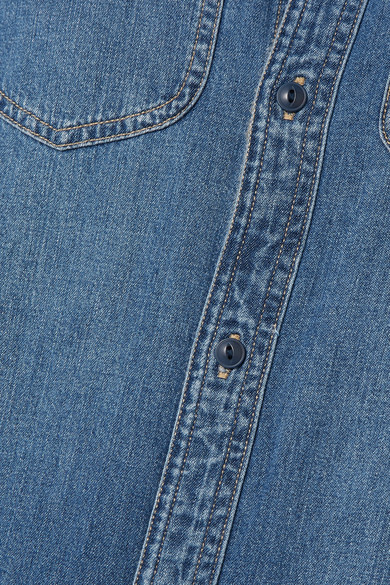 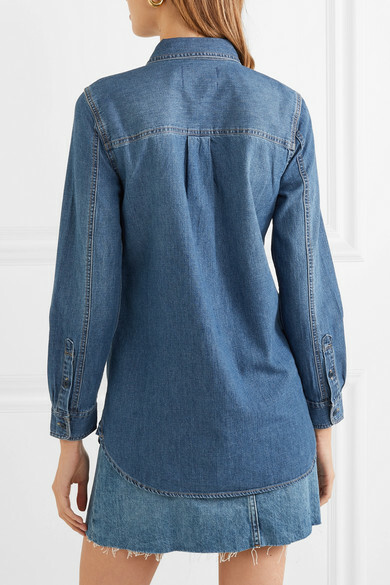 Madewell's shirt is cut from soft denim and lightly faded at the front for a lived-in look. 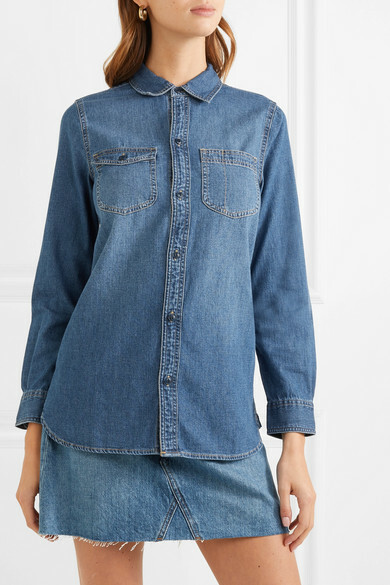 It has a slightly longer hem at the back, so you can tuck it in at the front and leave the other half loose. 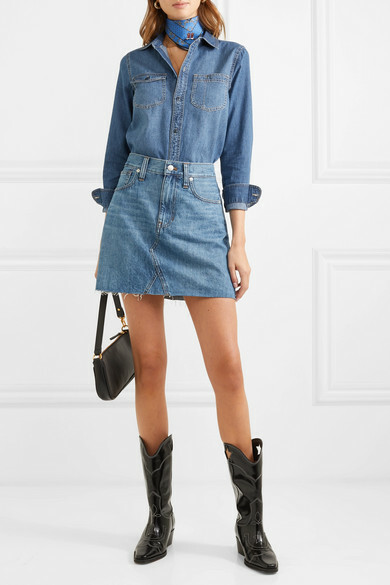 Shown here with: Madewell Skirt, BY FAR Shoulder bag, GANNI Knee boots, GANNI Scarf, Laura Lombardi Earrings.